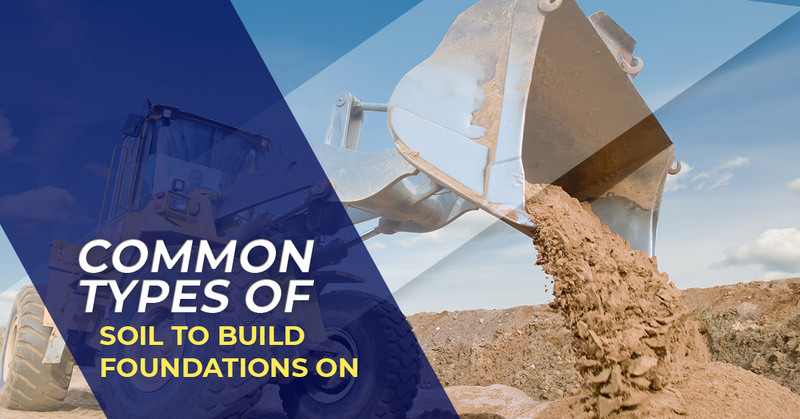 When it comes to foundation installation, one of the biggest challenges that contractors encounter is building on various types of soil. Although seemingly innocuous, the soil type can potentially have a dramatic impact on foundation repair and installation projects. Each type of soil has different properties that can affect the way a building’s foundation is supported. For contractors and other foundation repair companies, knowing the type of soil before beginning a project can make the job more efficient, as you will be able to determine the best solution for foundation installation. A soil report is one way to determine the soil type a company will be working on, helping those in the industry better calculate the bearing capacity of the sand, as well as the depth and composition of other soils beneath the initial layer. In this article, we are going to briefly review some of the common soil types most soil testings identity. Clay is an expansive soil made up of tiny particles. When wet, clay greatly expands, but when it is dry, it will shrink significantly. When clay is moist, it is very pliable and can easily be moved, manipulated, and shifted. These extreme changes can put a great deal of pressure on foundations, usually causing them to shift up and down or crack, which is why clay generally is not the best soil on which to construct a residential or commercial building. Peaty soil is typically dark brown or black in color and is easily compressible because of how much water it can hold. This soil type is formed by decomposed organic material,is usually found near wetlands, and is extremely porous. Like clay, peat expands when wet, and in extremely dry conditions, it not only shrinks, but it also is a potential fire hazard. It is very poor subsoil when it comes to support, as foundations are most stable on soil that does not shift or change structure depending on weather conditions and that doesn’t have a low bearing capacity. Silty soil is made of smaller particles, which is why it is able to retain water longer. However, because of its tendency to retain moisture, the soil is cold and drains poorly. This causes the silty soil to expand, putting pressure against the foundation and weakening it, making it not ideal for supporting a foundation. When compacted with gravel and other materials, sand does not retain water. Therefore, it will not cause any structures above it to shift. Sand and gravel have the largest particles of the various soil types, which is why it doesn’t retain moisture but drains easily. When soil and sand are compacted and moist, it holds together fairly well. Additionally, if the two are compacted, they make for good soil to support a foundation due to their non-water-retaining properties. However, when moist, the particles will lose their friction and can be washed away, which can leave gaps beneath the foundation and cause settlement issues down the road. Luckily, quality helical piers are an effective fix for foundations that are built on and supported by sand. There are varieties of rock, such as limestone, bedrock, and sandstone — all of which have exceptionally high bearing capacities, making them a suitable soil type for supporting residential or commercial buildings. It’s crucial that a rock surface is level before building a foundation, otherwise the foundation must be held into place with anchors. When it comes to the ideal soil type for foundations, loam may be the best option. Generally, loam is a combination of clay, silt, and sand. Loam is dark in color and soft, dry, and crumbly to the touch. Loam is great for supporting foundations due to its evenly balanced properties, especially how it handles moisture in a evened way and will generally not expand or shrink enough to cause damage. Loam is a good soil for supporting a foundation and building, as long as there are no miscellaneous soils that find their way onto the surface. As you can see there are a variety of soil types, some creating more challenges than others when it comes to foundations. However, just because you are dealing with a soil type that doesn’t offer the best support for foundations, doesn’t mean it cannot be done. At Magnum Piering, we manufacture high-quality steel piling products and supplies for deep foundations and foundation repair applications. When you use our products, not only do you have quality materials to work with, but you are supported by a team that offers geotechnical and structural engineering support for foundation applications — we can even send a representative on site to assist with product installation! Our engineers are experts in helical piles installation and design, and they are available to ensure your installation process goes as smoothly as possible. To learn more about our steel piling and piering products or our field installation services, contact Magnum Piering today!